Are you actively involved in Internet of Things (IoT) Platforms & Standards? 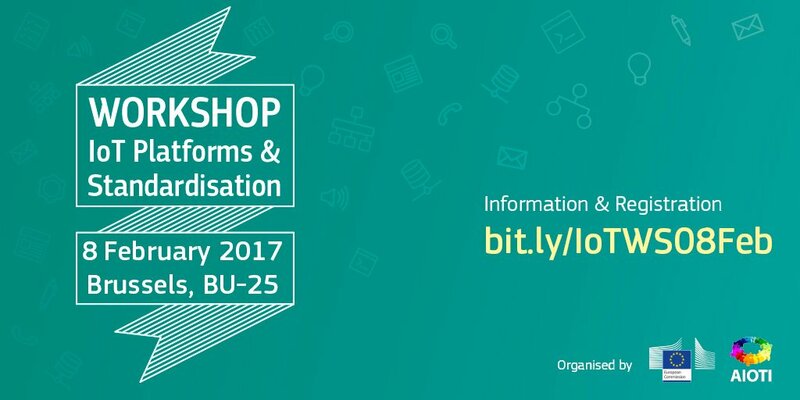 Then, join this workshop and get first-hand information on the latest findings of the AIOTI working group on IoT standardisation (WG03). In addition, this workshop can allow you find out concrete ways in being involved in the development of IoT standards and/or join the ongoing EU debate on IoT standards. The workshop is organised by the European Commission and the Alliance for Internet of Things Innovation (AIOTI).